Whilst sitting on a train to London I noticed a competition to enter about memory’s of the forest, it was the Woodlands trust love it or lose it campaign. So being inspired to write I told the story of Epping forest. Unfortunately I never forwarded my piece . I found it today whilst searching through my notes on my phone so I thought I’d add it here. My earliest memory’s are of golden autumn days, crunchy leaves, fairys hidden in the hollows and seeing the faint furrows of lines left from the rows of potatoes planted in the war. My nanny dolly taught me how to ride a bike , tell the time and enjoy the magic of the living forest . Doris jessie harrington or dolly as she was better known was bountiful women who had a heart of gold , having grown up in Peckham she found the move to Essex made easy by the fabulous maze of Epping forest! As a small child she would lead is in to the forest and walk for hours every one would comment that even the dog couldn’t keep up! She knew every path every brook and every wishing well! Many a penny was thrown in on a wish in the hope it would one day come true. Sliping gangly feet in to cold Wellies to walk in the brook was the best part, or sledging down baldwins hill on a tray with Sam the dog shivering in his fluffy coat. Ill always remember the stories she told me as she walked how grandad learnt to swim in the “gravels pond” and then subsequently my mum fell in it in later years. Or how her great nan used to live in the house at the top of baldwins hill which was then only a porch. One things for sure one of those little penny wishes didn’t come true in that I wished my nanny dolly would be with me forever . The pain is still with me but over the years it becoming easier to cope and i don’t feel like I’m drowning anymore, I can take comfort in my heart that when ever I visit those gravels my nan and grandad are always with me. I can enjoy the memories and crunching in the leaves with my own children and hopefully my own grandchildren one day . 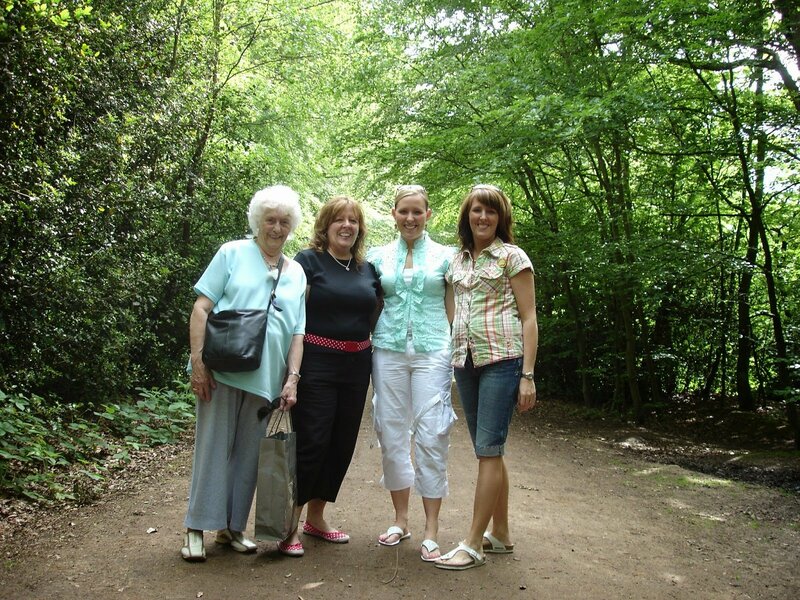 Me , my Mum, my Nan and my Sister , this was the last visit to the forest with my nan before we lost her. 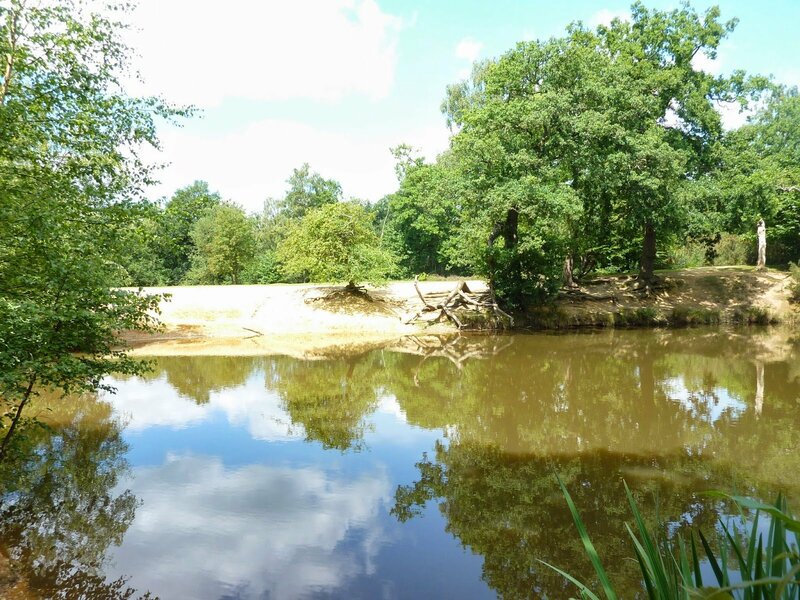 The Gravels epping forest, Where My Nanny Dolly and Grandad Bobs ashes rest. 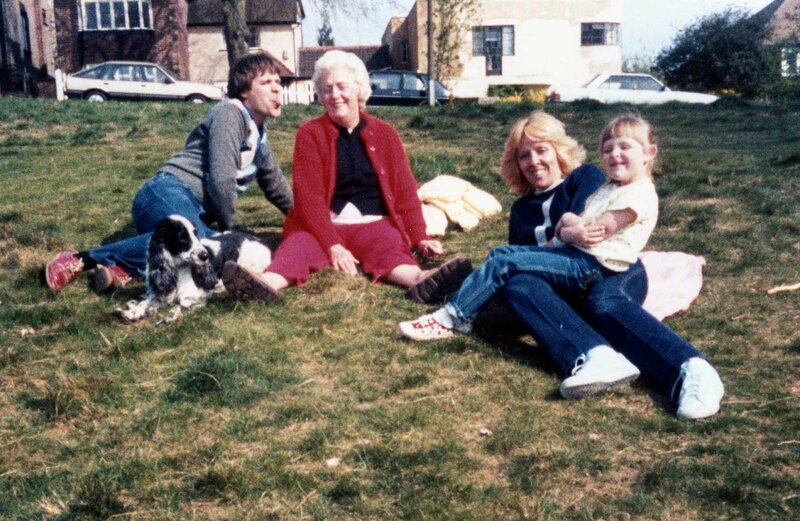 My Dad, Mum, Nan, Emma and Sammy over Baldwins hill, ( i took the photo) 1984. 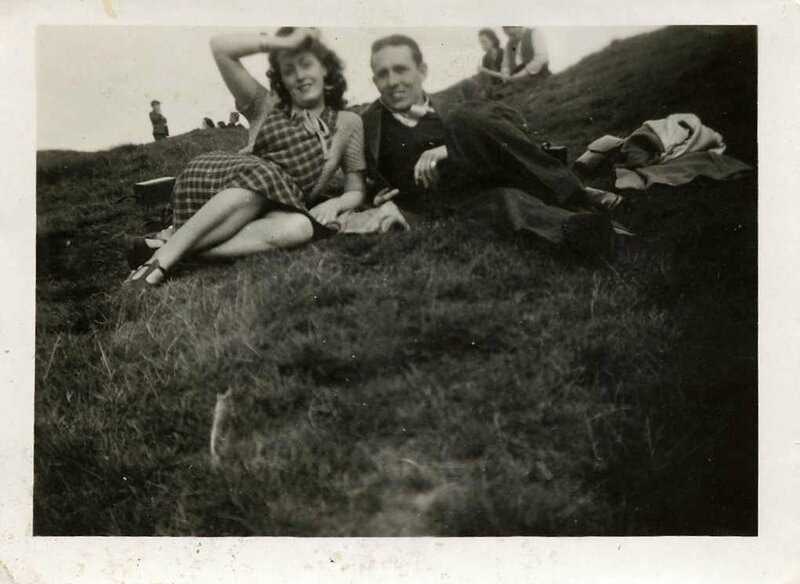 As you can see it started along time ago for my Nan and Grandad, This was 1947 at High Beech. Previous Post Henry Hoover! Where have you been all my life! Next Post Harrys Travel themed boys bedroom.